Our Next Generation Ministry has played an important role in developing leaders on the College and University campus. WDA staff teams meet with resident students and involve them in ministry activities designed to help them grow to maturity in Christ. After graduation, we strive to stay connected through an alumni network, assisting them as they build disciples in their local churches. This ministry is led by Greg Hammond who serves together with his wife, Shannon as they disciple men and women on campus and conduct a ministry training program. 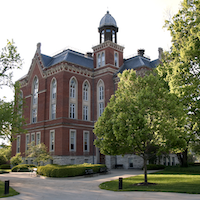 Their ministry at DePauw has drawn a high percentage of international students as well as students from minority groups. This gives them the opportunity to impact the world from Greencastle, Indiana. 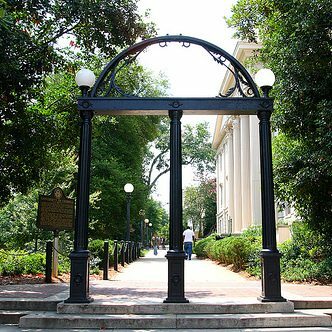 University of Georgia has been a great place for Next Generation Ministry. Dave Johnson, our National Campus Director ministers to young men during this critical time of life. Dave is active in sharing the gospel, helping young men grow in their faith, and ministering in the context of the local church. Josh Garner serves through his position at Tuckston UMC, He disciples youth and young adults, trains young adult small group leaders on discipleship methods, he also works with local youth pastors from around Athens to help encourage and support their personal discipleship ministry within their church. and involvement in ministries in Athens. 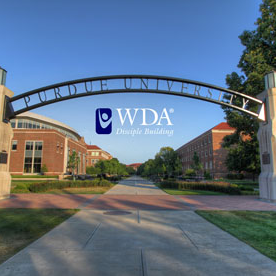 Established in 1983, the heart of the Purdue WDA Next Generation Ministry is meeting students where they are in their spiritual journey with Christ and equipping them to grow in their walk with Him. Meeting with and ministering to international visiting scholars and students is also an important part of the ministry at Purdue.